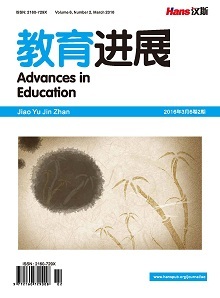 Because of the improving in assessment system and reflecting of researcher, Author chooses successfully reformed vacational school: Kaiping culinary school as an example, researching the assessment setting of the school by field survey. 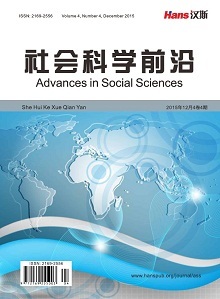 After the reviewing of research literature to Kaiping, researcher finds that the assessment of Kaiping meets the requirement and principles such as multielement and interactiveness which are presented in researches. Kaiping culinary school combines paper test, portfolio assessment, practice assessment and verbal assessment together, and invites students, friends, parents, teachers, industry and society to participate in the assessment. Meanwhile, Kaiping uses vast qualitative assessments for process assessment, matching supporting service to ensure it could serve the development of students. Kaiping also has a fantastic performance in extended assessment which traces the graduate and provides the lifelong services. The example of Kaiping could not be applied mechanically. It is a reflection of administration and teaching support system, which deserves other school to use as an example for serving the education of students. 马冀. 享受过程评价乐趣, 融合语文学习团队—语文学习联赛制评价体系的实践研究[J]. 创新教育研究, 2017, 5(1): 45-52. 黄淑苓. “学生为中心”的学习评量[J]. 教育科学期刊, 2002, 1(2): 3-24. 唐宗浩, 李雅卿, 陳念萱. 另类教育在台湾[M]. 台北: 唐山出版社, 2006. 袁振国. 当代教育学[M]. 北京: 教育科学出版社, 2005. 张世贤. 学生评价价值判断基本范式选择研究[D]: [硕士学位论文]. 石家庄: 河北师范大学, 2007. 何毅. 反思当前学生评价的价值取向及其影响[J]. 现代教育论坛, 2011, 182(8): 16-20. 吕华琼. “小蚂蚁大智慧”: 校本化学生评价的改革[J]. 现代基础教育研究, 2012, 8(12): 62-66. 赵春萍. 学生评价多元化研究[D]: [硕士学位论文]. 新乡: 河南师范大学, 2011. 朱文博. 美国学校增值法学生评价研究[D]: [硕士学位论文]. 重庆: 西南大学, 2011. 王弘婧. 我国基础教育中的学生评价与学生发展[D]: [硕士学位论文]. 淮北: 淮北师范大学, 2011. 陈张荣, 许柏仁. 生态评量法在适应体育个别化教学方案课程设计之应用[J]. 中华体育季刊, 2010, 24(4): 184-191. 王鹏. 基于“人本主义”的学生评价[J]. 四川教育学院学报, 2011, 27(12): 111-113. 刘伟, 常双. 瑞士文理高中学生评价及对我们的启示[J]. 大连教育学院学报, 2009, 25(2): 14-15. 王娟. 基于多元智能理论的高中思想政治课程学生评价[D]: [硕士学位论文]. 成都: 四川师范大学, 2012. 毛新春. 医学院护理学系毕业生临床护理能力评量表之设计[J]. 医学研究, 1988, 9(1): 15-37. 戴建伟. 国内外职业学校学生评价机制的对比和分析[J]. 快乐阅读旬刊, 2013(3): 18. 张良. 职业学校学生评价出现的问题及原因分析[J]. 卫生职业教育, 2008, 23(26): 42-43. 高建芳. 浅议中等职业教育学生评价模式改革[J]. 职业, 2012, 14: 31-32. 廖乃英. 小议职业教育中的学生评价[J]. 时代教育: 教育教学版, 2010, 12: 239. 凌兴正. 构建重庆市中职学生综合素养多元评价模式研究[D]: [硕士论文]. 重庆: 重庆理工大学, 2014. 吴天慧, 肖卓阳, 付向阳. 旅游管理专业实习考核评价体系的构建[J]. 中国职业技术教育, 2016, 32: 56-60. 杜德昌. 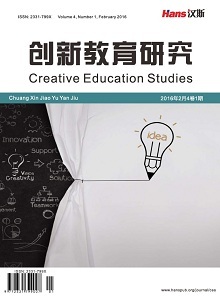 关于职业教育学生发展性评价的思考与研究[J]. 中国成人教育, 2009, 19: 5-6. 果哲. 台湾教育的另一片天空[M]. 台北: 大瑰文化出版股份有限公司, 2016.